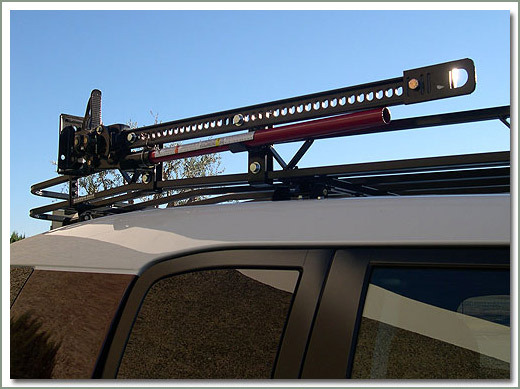 Specter Off Road is excited to offer this new Expedition Roof Rack made exclusively for Specter by Wilderness Accessories. 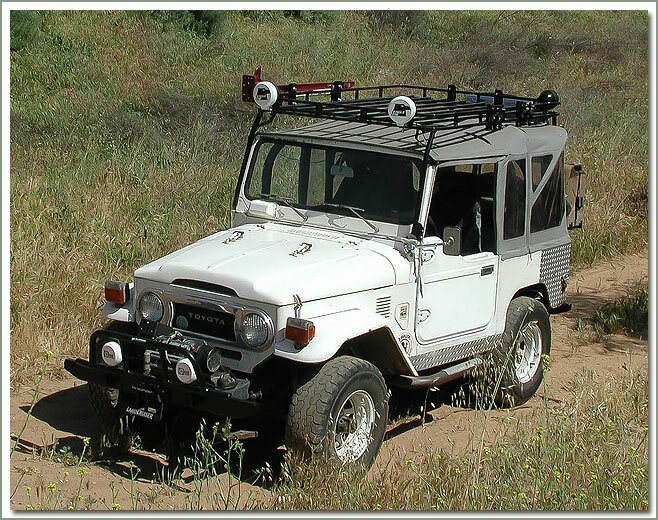 This sturdy new rack is designed specifically for use with an FJ40 Series using a softop, bikini top, summer top or no top at all. 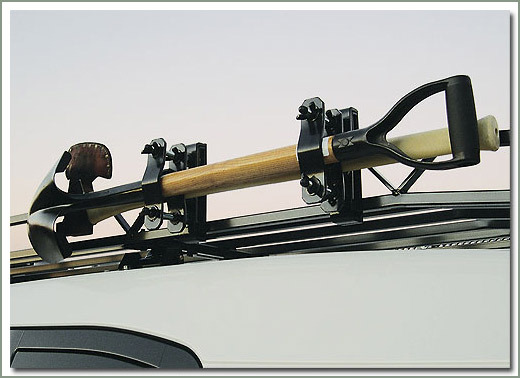 The Expedition Rack measures 74 Inches x 54 Inches. 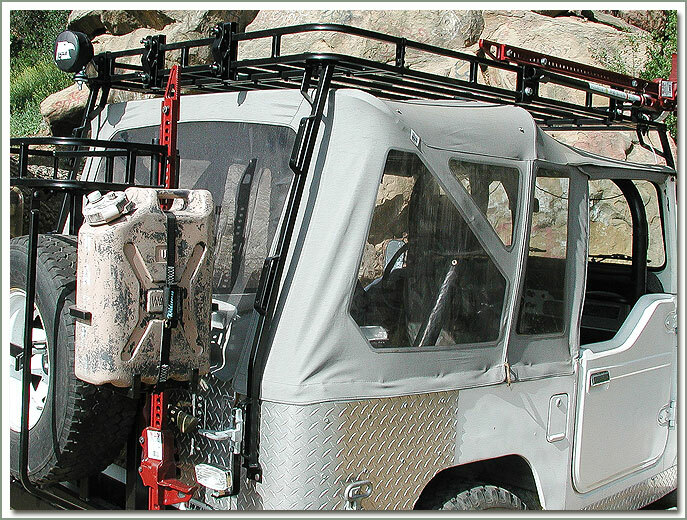 It mounts to the windshield hinge and the windshield frame can not be folded down with the rack installed. 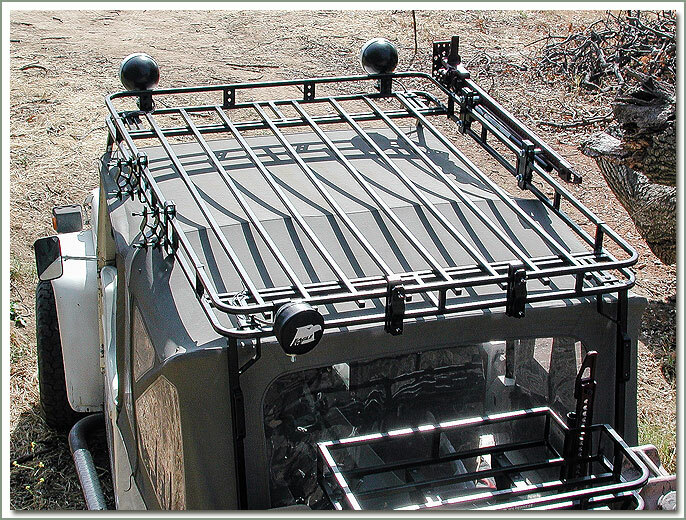 This rack will not fit with a hardtop, or O.E.M. factory softop due to rear vertical support angle. Will not fit with OEM tire carrier. Requires relocation of license plate. 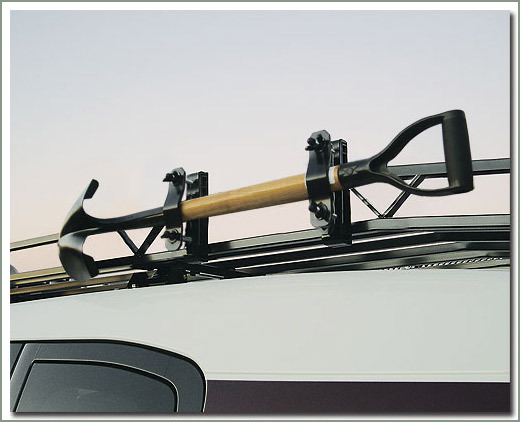 Comes complete with the rack, the floor and the 4 vertical supports. 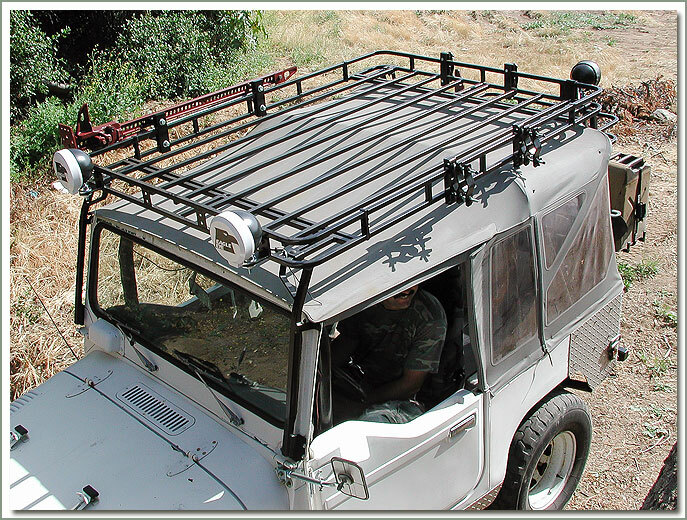 The Roof Rack and the Floor are constructed from 3/4 inch square steel tubing. 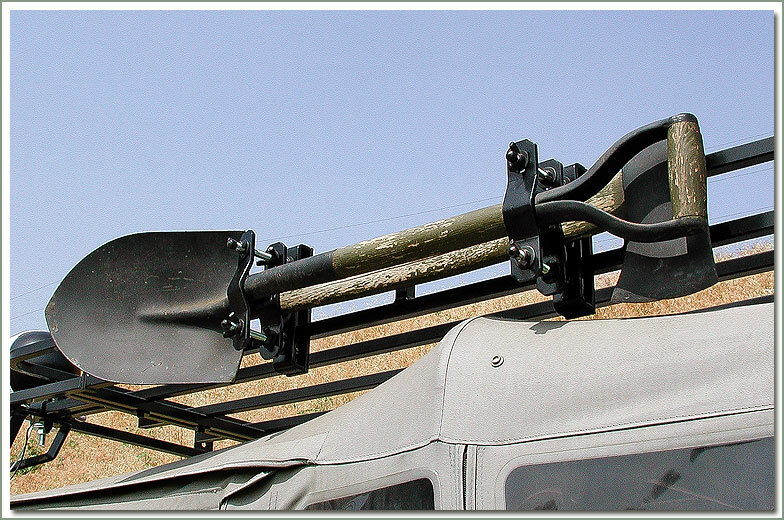 The vertical supports are made from 1 inch square steel tubing. 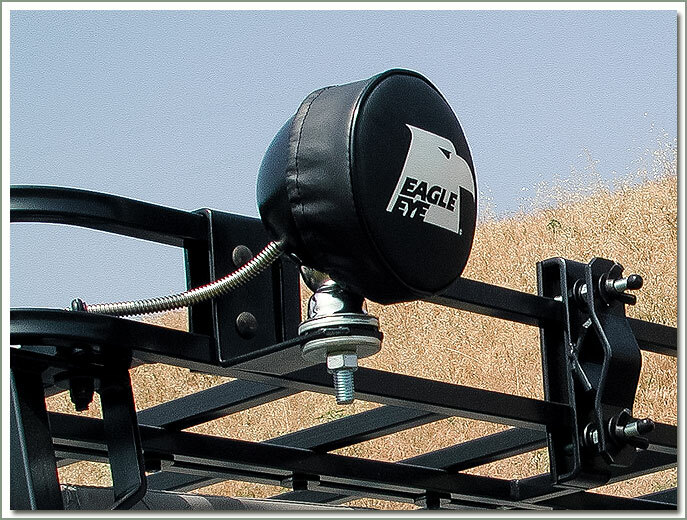 The rear vertical supports have mounts for three folding steps on each vertical support. These are sold separately as part #275-100. 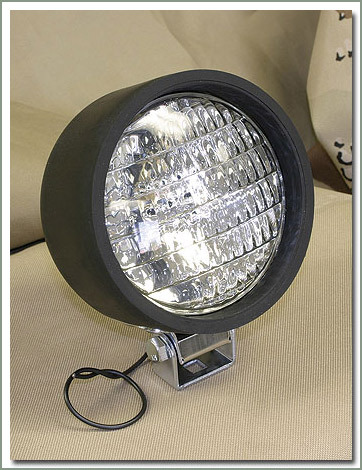 Light brackets are available that bolt to the same mounts as the folding steps. 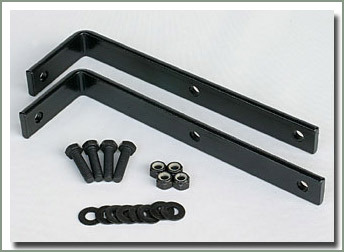 These brackets are sold in pairs, part #258-119. 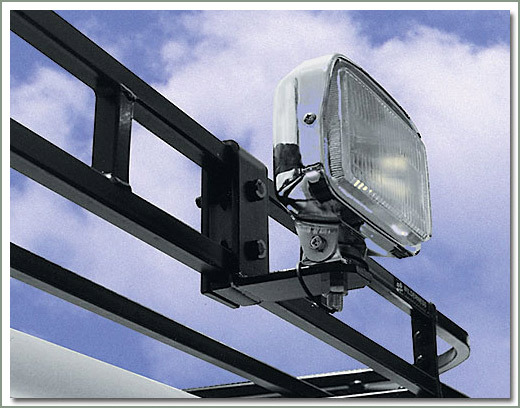 These brackets can be used to mount brake, backup or auxiliary flood lights for loading and unloading in the dark. The steps and light brackets can be used together. 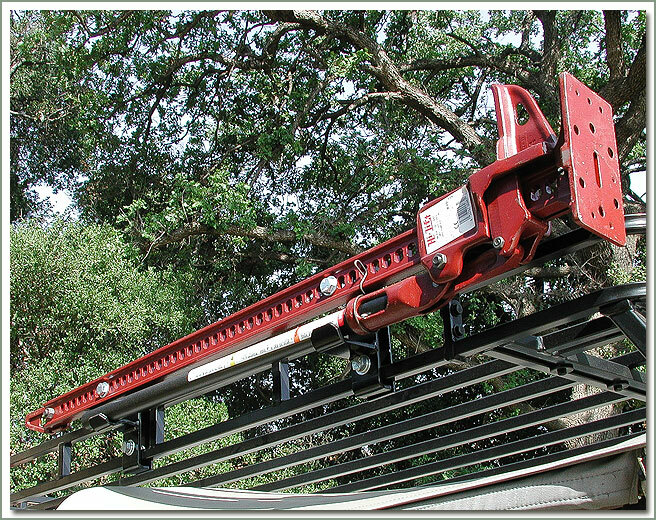 This sturdy rack system will support a well distributed maximum of 300 lbs. 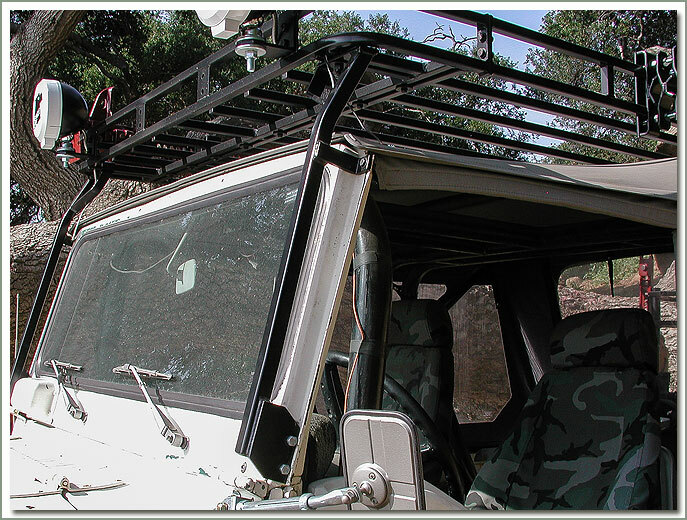 Unbolting the rack from the 4 vertical supports, and lifting the rack off of the vehicle, allows removal of a softop.